Everyone knows the story of Joan of Arc. The peasant girl from Domrémy who heard voices as she tended her father's fields. Voices that she believed came from Heaven. These voices told her to go to the Dauphin Charles, fighting a crippling civil war against the English & Burgundians, lead his army, push the enemy out of France & crown him King. We know that Joan did all this but, when the victories stopped, she was captured by the Burgundians, put on trial by the Church as a heretic, handed over to the English & burned at the stake. Fifty years later, in a different political climate, Joan was rehabilitated by the Church & in 1920, she was made a saint of the Roman Catholic Church. 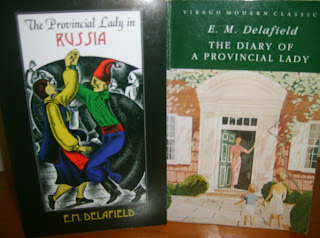 I read this story, with illustrations I still remember, in my Children's Encyclopedia over 40 years ago. Helen Castor has taken this story & retold it in a fascinating way. Most accounts of Joan's story begin in Domrémy, in Joan's childhood, then take us on that journey to the Dauphin so that we're already convinced of her mission before she arrives at Chinon. In this book, Joan doesn't even appear until a third of the way through. Castor describes the political situation in France in the early 15th century. She begins with the battle of Azincourt (the English Agincourt) in 1415, describes the split between the victorious English & Burgundian faction, who had the support of the mentally afflicted King Charles VI & the Armagnac faction, supporting the heir to the throne, Dauphin Charles. The reader becomes aware of Joan as the Dauphin does, without knowing any of the traditional backstory. Her deeds seem even more amazing in this context. The desperation of the Armagnacs to believe her story, the decision to give her troops & let her try her luck as they were in such desperate straits, the raising of the siege of Orléans & the triumphant journey to Reims Cathedral to see the Dauphin crowned King. This was the high point in Joan's story. Once the Dauphin was crowned, however, no one seemed to know what to do with Joan. She was single-minded in her desire to drive the English out of France & frustrated that Charles wouldn't give her the troops she wanted to carry out her plan, that plan that she said had been communicated to her by her voices. Eventually, she was captured by the Burgundians as she tried to relieve Compiègne, just outside Paris. Handed over to the Church as a heretic, she was interrogated, put on trial & declared a heretic. Her voices came from the Devil & her determination to wear male clothing was against the teaching of the Church. Joan briefly recanted when she was confronted with the scaffold & sentenced to life imprisonment. However, she soon restated her belief in her voices & returned to her male clothing. The Church then handed her over to the secular authorities for sentencing & she was burnt at the stake on May 30, 1431 at the age of nineteen. Joan is one of the few medieval women whose life was so completely documented. The transcripts of her trial & then of the rehabilitation are full of eyewitness accounts of her childhood & her career, the kind of detail that is vital to any biographer. Helen Castor does a wonderful job of explaining just how unusual Joan's journey was. For a teenage girl to get as far as she did with such self-belief & determination was extraordinary. Castor doesn't try to explain Joan's voices. There have been theories that she had epilepsy or was mentally ill. There have been theories that she was an illegitimate member of the royal family. It's like the theories about Shakespeare's plays. Some people can't believe that William Shakespeare from Stratford wrote the plays. Some people can't believe that a peasant girl from Domrémy could have accomplished what she did. Joan's story has all the elements of fairytale or myth but, by going back to the sources & writing without the benefit of hindsight, we can see why the Dauphin wanted to believe in Joan. Her initial success had more to do with politics than piety but, no matter the machinations at Court, Joan's own belief never wavered. The detailed account of her trial shows Joan, a young woman, ill, in prison & alone, interrogated & questioned by large groups of men - Churchmen, lawyers, doctors - & confidently giving her answers as they circled around her story, moving backwards & forwards in time, trying to trip her up on detail, trying to get the admission they needed about the heretical nature of her experiences & beliefs. The outcome of the trial was never in doubt but the lengths that these men went to, either to save her soul for God by her recantation or make her an outcast from the Church if she stuck to her story, was remarkable. This is a fascinating story, so well told. 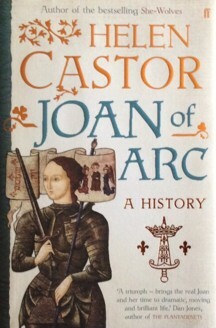 Even if you think you know the story of Joan of Arc, Helen Castor's book is comprehensive, sympathetic & full of telling detail. This is not a book about a saint; it's the story of a young woman who took the medieval world by surprise & achieved more than anyone could have imagined.